Giovanni Peri is Professor and Chair of the Department of Economics at the University of California, Davis and Research Associate of the National Bureau of Economic Research in Cambridge, Massachusetts. He is Editor of “Regional Science and Urban Economics” and in the editorial Board of several Academic Journals in Economics. He is the Director of the UC Davis Temporary Migration Cluster, an interdisciplinary group doing research on international migrations. His Research has focused on the impact of international migrations on labor markets and productivity of the receiving countries and on the determinants of international migrations. 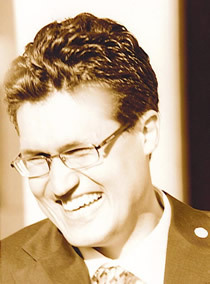 He has published in several academic journals including, among many others, the American Economic Review, the Review of Economic Studies, The Review of Economics and Statistics, the Economic Journal, the Journal of European Economic Association, the Journal of International Economics and the Journal of Labor Economics. His research has been featured in popular Blogs and in media outlets including the New York Times, the Wall Street Journal, the Washington Post and the Economist Magazine. He has received several grants for the study of international migrations from foundations and international organizations, including the National Science Foundation, the John D. and Catherine T. MacArthur Foundation, the World Bank, and the Volkswagen Foundation. Giovanni Peri joined CReAM as an external fellow in June 2007.